Cray-on, cran, or crown? What say you? 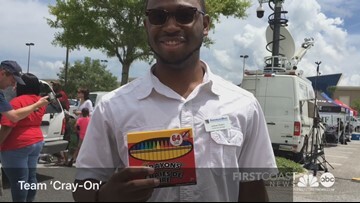 Team First Coast News had a blast stuffing buses with school supplies Friday, but one of the popular items sparked a little debate.